Master Jennifer Wenhong Yu is an international #1 Amazon best-selling author, a happiness-wellness activist, mentor and a 6th generation Tai Chi Master of China's Yang Family Tai Chi Chuan Lineage. She holds a Master’s degree and a Ph.D. candidacy in Healtheology in the U.S. and an Economic Law degree from Peking University, China. She is well versed in eastern wellness, holistic health and western fitness and was a former AFAA examiner, personal trainer and advanced instructor of Therapeutic Yoga and Pilates. 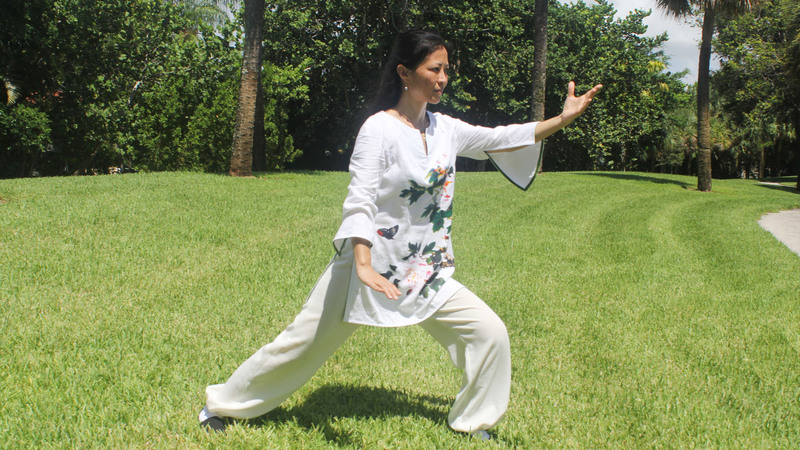 Master Yu started her Tai Chi journey 30 years ago at Peking University’s martial art team and continued her training with lineage holders and 9th degree black belt master after she immigrated to the U.S. in 1989. She has taught Tai Chi, other martial arts and wellness instructions and has personally trained tens of thousands of students including world class athletes, martial art instructors, professionals, artists, youths, homemakers and seniors, from age 6 to 100. As an abuse survivor and a former Al-Anon member, Ms. Yu founded Yu School, a non-profit entity to bring Tai Chi’s renowned healing and health benefits to everyone, especially those who are suffering and underserved. She is the creator of HAPPY TAI CHI™ and is dedicated in winning against the epidemic spread of anxiety, depression, addiction and chronic pain in our societies. Master Jennifer W. Yu loves her family and students, and is a proud Green Beret mom. Besides planning and conducting her international tours of HAPPY TAI CHI™ Seminars, she enjoys training instructors and teaching classes to both public and private students in Boca Raton, Florida, where she currently lives.